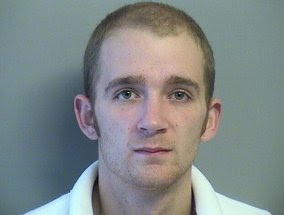 The Truth Will Set You Free: Jewish Center Hissy Fit Bomb Threat "Not a Hate Crime"
Jewish Center Hissy Fit Bomb Threat "Not a Hate Crime"
Police arrested Christopher Jacob Stefanelli, 22, in connection with a July 14 phone bomb threat that led to the evacuation of people from the Tulsa Jewish Retirement and Health Care Center. Police said the threat was motivated by a domestic dispute with Stefanelli's boyfriend, who works at the Jewish Retirement Center, and “that was the reason he made the call,” Officer Jason Willingham said. During a search of the campus, employees heard a ticking noise coming from a paper-filled trash can, and police evacuated the retirement center of dozens of residents and children. The finding of a ticking device — later determined to be a clock — at the center on the same day was purely coincidental, and the clock is not believed to have been placed there by Stefanelli, Officer Jason Willingham said. Police determined that the telephone call was placed from Stefanelli’s phone. Stefanelli confessed to making the call and was arrested. Detectives don’t think the bomb threat was a hate crime or a Homeland Security issue, police reported.